Game-changer or gimmick? A Brno company has announced a merger it says could mean more flight options and substantial savings. Hipmunk? Google Flights? Momondo? Which search engines do you typically use to book flights into and out of the Czech Republic and beyond? If you are a Czech brand loyalist, Brno-based company Kiwi.com — a small start-up formerly known as Skypicker, which has seen rapid global expansion in recent years—may come to mind. This week, the company announced that it is partnering with Spanish search engine Amadeus to create a platform which offers up to three quarters of a million new combinations of flights. Cooperation should also lead to cheaper tickets, in some cases slashing prices in half, founder Oliver Dlouhý told Czech newsserver E15. The Czech company grossed over eight billion crowns last year and is opening several new offices around the world in 2017. It employs over 900 people. 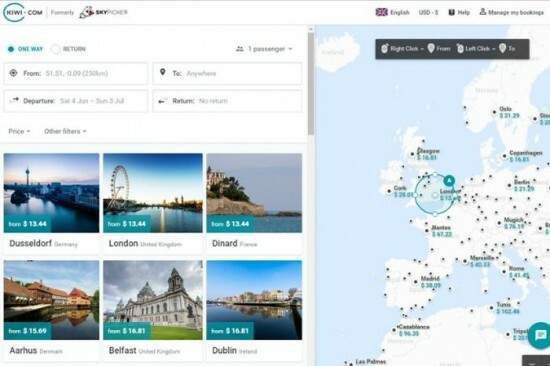 Positive eviews of the third-party booking site frequently commend Kiwi for offering flights from regions via its radius search feature, booking cheaper flights for complicated routes, including multi-city searches, and discovering cheap hidden flights and new destinations. On the cons side, the company has come up against criticism for poor customer service.